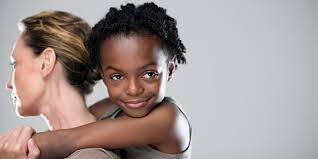 Emotional trauma: Children whose parent have divorced are usually emotionally affected. They feel there is something missing in them. And of course,there is. The mother,who is the home care giver is no longer there,and this surely will affect the emotional well being of the children. No woman,can replace a live mother for her children,no matter what! Distraction and anxiety: Children whose parent are divorced are usually distracted from many things. The thought of what would happen to them,how they would survive,who would take care of their needs and the rest are always problems for children from divorced homes. For example,a teacher in a school where we visited to see how their children are doing related to us that there was this little boy of about seven years. While teaching was going on,his mind was always away from the class and would never understand a thing being taught by his teachers. When the school found out about the unusual behavior and result of his little boy,they came to find out that his family problem has really affected him.When they asked to know what the boy was always thinking about,they found out that he was always thinking about his home. Who would welcome them,give them their food,and help them with their assignment. This is because,when his mother was still in the family,she would do the cooking,pick the children from school,and help them with their assignment. Now she is no more,the thought of all of these burdened the child's heart. This is a long term effect of divorce on children. Again,children who grow up in a divorced family are sometimes seen as people who would end up being like their parent. It is believed that they would surely not make a good home in marriage. They are always being referred as : ''Like father like son''. In fact,divorce issue always has a long term effect on children. What about when a man marries another woman? Ooh,this most times brings more problems to the children born by the other woman. Discrimination,hatred,partiality,and mistreatment on children,are some of the results that children whose mothers have left home for divorce,go through. In fact,research has proven that all over the world,the effects of divorce is more seriously felt by children than any of the parties involved. To start with,there could not be any better way to care for child upbringing than doing so by the parent,who together,produced,and brought them forth. When couple separate and their nuptial knot cut apart,the children are the ones who face the consequences,more that any other in the family. They fall,and shatter apart! Wouldn't this have a long term effect on children?